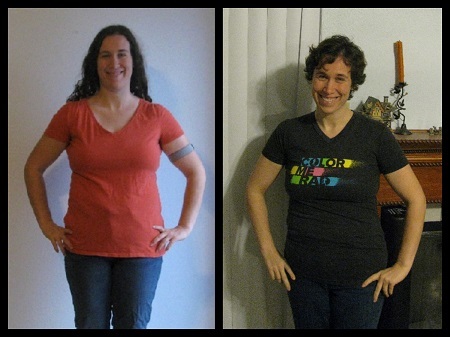 Weight loss is only one part of my wellness journey, but I wanted a place to record the patterns of weight loss over the years since I began on November 27th, 2009. 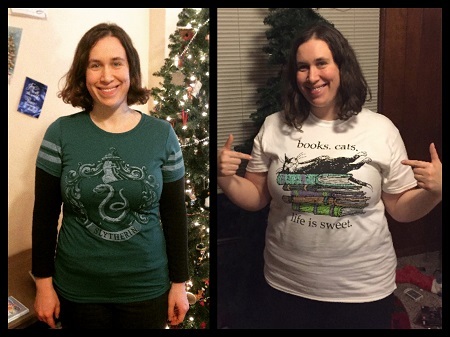 My weight loss journey began, and I mostly had no idea what I was doing in this time. I lost a net total of 15 lbs over that 13 months. My journey began in earnest here with a lot of research, small changes, and an introduction to Sparkpeople. For the first 8-9 months of the year, I lost an average of 5 lbs per month, before hitting a wall related mostly to insomnia. 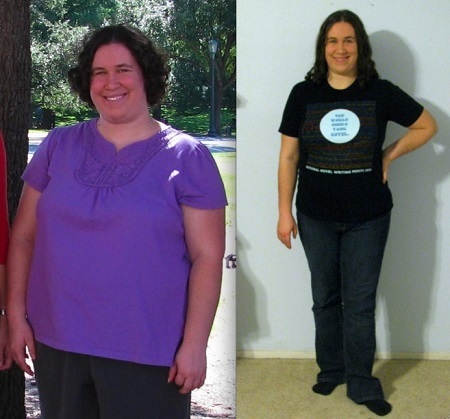 I kept going despite the slow-down, and lost a total of 54 lbs in 2011. I kept fighting against the wall this year, and also dealt with a stress fracture in my leg that left me unable to exercise for 12 weeks in the summer. 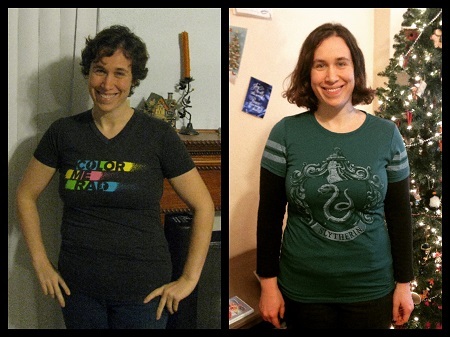 Despite all that, I still lost 27 lbs this year, bringing me to only 4 lbs from my goal of losing 100 lbs total. 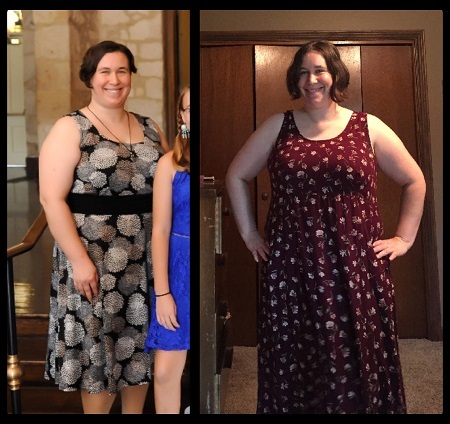 I hit that 100-lbs-lost goal at the end of February, then set to maintaining the rest of the year. I did lose a further 5 lbs over the rest of the year, fluctuating within a small range as I maintained. Early in 2014, I underwent abdominal repair surgery. I continued to maintain my weight until a major life change in May that caused severe mental health issues and disordered eating habits. If I look at the year as a whole, from January 1st to December 31st, I gained 7 lbs. 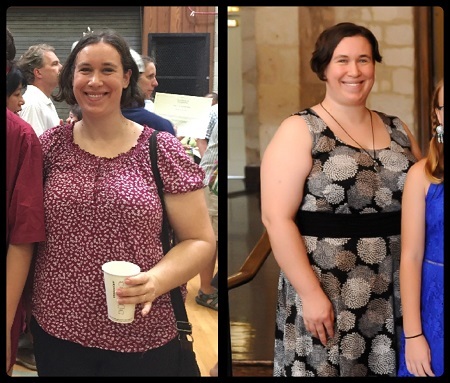 The bigger pattern had me maintaining for five months, gaining (20 lbs) for three months), then losing (17 lbs) for two months, then starting a slow gain upwards after beginning on an anti-depressant. This was my big, bad year of regain. A combination of medication, disordered eating, and just plain giving up lead to a huge regain in the first six months of the year. 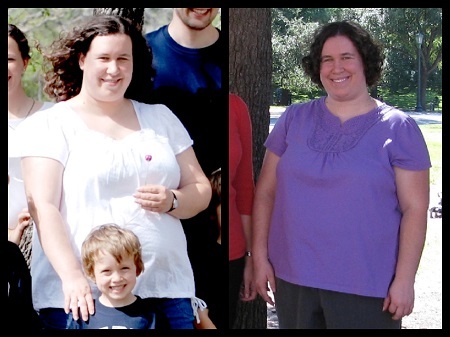 Then we moved across the country (again), and the weight kept piling on through a combination of medication, binging, drinking, illness, and a major injury (sprained and broken ankle/foot) that kept me from exercising. Overall, I regained 47 lbs this year. Another year, another cross-country move. 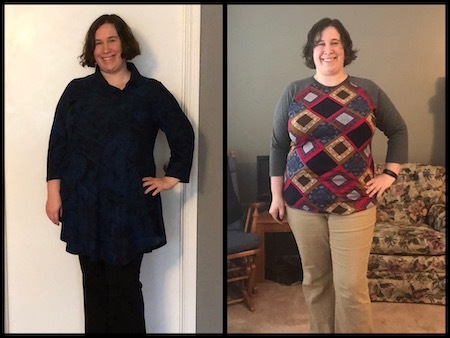 This year, though, I was diagnosed with PCOS and my doctors began actually trying to help figure out why my weight was increasing exponentially. 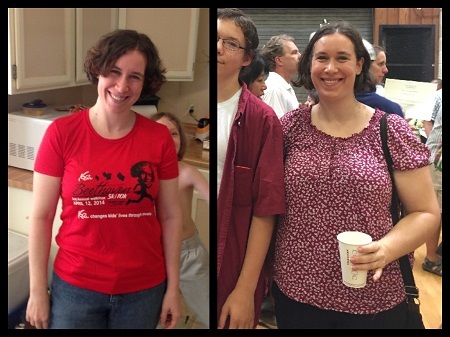 While I still had some regain this year – 14 lbs – it was much lower, and all of it was prior to our move that August. From August onwards, my weight stayed steady. Another year, another cross-country move. Yes. Fourth since 2014. And last. This, finally, was a year of maintenance. 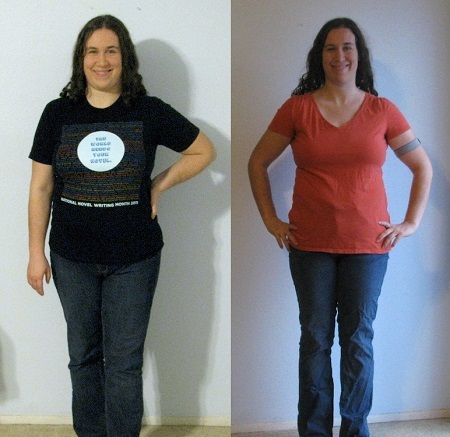 While my weight fluctuated up or down by a few pounds, I kept my weight stable all year. I began to exercise regularly again after I finally recovered from the injury in 2015 – which took two years to heal, since they didn’t find the main source of the injury (the broken instead of sprained portion of my foot/ankle) until an MRI in Dec 2016. No cross-country moves this year, but a major construction catastrophe that caused our house to be unlivable for four months. I made weight loss progress both before and after these months, but during them I basically undid any progress and got to my highest regain weight ever. 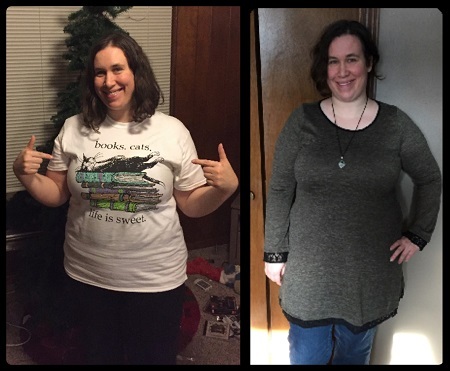 I had a 12-lb range this year, from my lowest weight in May to my highest in September, and ended the year three pounds down from where I began it. This is the first time I’ve ended lower than I began (even if it’s just a tiny bit) since 2013. So while it was a fluctuating and technically maintenance year, there have been ups and downs with the year ending on a downward trend I plan to carry over into 2019. Though I’ve split these out by year above, I feel that the timeline is more accurate when cut to reflect particular time periods. 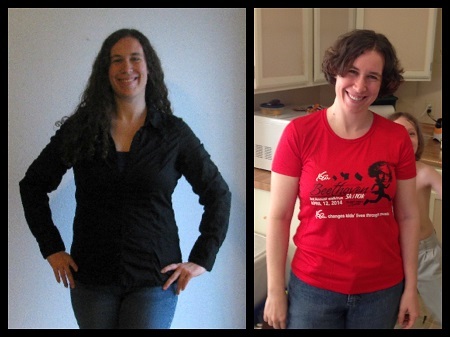 For instance, from Feb 2013 until May 2014, I maintained my 100-lb loss without trouble. The nomadic living years (in Boston, Texas, and Wisconsin) tell their own tales. 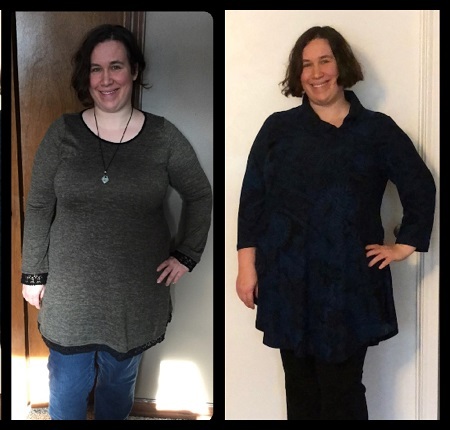 In Boston – the first move, the traumatic catastrophe, the extreme mental health issues, and some bad medications – I regained 29 lbs. In Texas – during which time I was under constant illness and injury, as well as on a bad medication for some of the time – I regained 40 lbs. My year in Wisconsin – during which things were nearly back to normal – I maintained.